SO with the previous Mastercams/MC4SW I was able to fudge routing machine definitions for posting by changing the file extensions. This worked quite well.... but now that I have upgraded to 2017MC4SW, and have no issues posting the machines I need. I have an issue now whereas older files cannot post do to having a router definition set, and I have no knowledge on how to remove this definition to replace it with a working one. IS there any way to dump what is set and replace it with the default mill? Selecting the Machine Group Properties>Files>Machine Tool Path does nothing... I can click the "replace" a million times and nothing will happen. 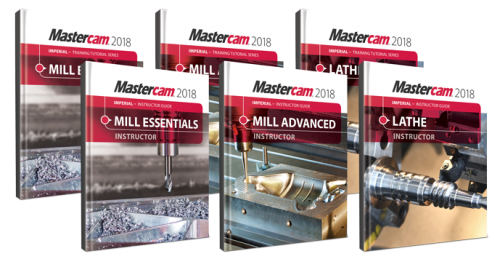 These files are intended for those who have purchased the PDF version of the Mastercam X9 Instructor Kit for Mill and Lathe (METRIC), available here. The files include: Quizzes, tests Completed files PowerPoint Presentations Exercises Lesson plans are contained in the books themselves.